Glorious days sitting under a pergola shade: cool drinks, laughter with friends, fresh green salads, warm sunshine. What bliss! If there's one thing we all seem to love in our gardens, it's a cosy, welcoming place to relax, unwind and enjoy the good weather: whether it's having a friend round for a coffee, a cool drink after a long, hard day at work, or just having forty winks on the lounger, there's something very special about the times we spend away from the hustle and bustle of everyday life in our own small haven of peace. Dining 'al fresco' is one of my favourite things too! 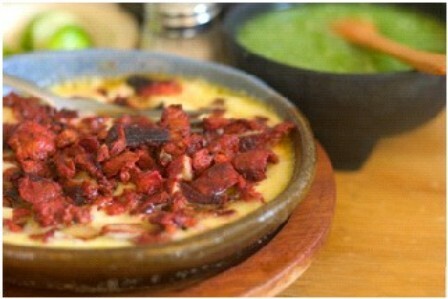 It has become much more popular of late. With so many people holidaying abroad, we've all experienced it's wonderful charm, and want to recreate the feeling in our own gardens. The garden has indeed become an extension of the house, an outdoor room, where we can escape everyday concerns and enjoy a relaxing meal in each other's company. Whatever the purpose of your pergola, if you haven't yet created your own, here are some pointers before you begin. Some of us like to be in the shade on a warm summer's day, and others like to make the most of the sunshine while it's here! Where your pergola is positioned will largely depend on its purpose, and also the orientation of your garden. This is particularly so in a south facing garden. As most people prefer eating out of the full sun, in at least some shade, it may be necessary to provide extra protection. Clothing your pergola in climbing plants will often provide enough shade to take some intensity out of the sun. There are many different varieties available for growing over pergolas and other garden structures. These are not only beautiful, but can be highly fragrant too. What a bonus! 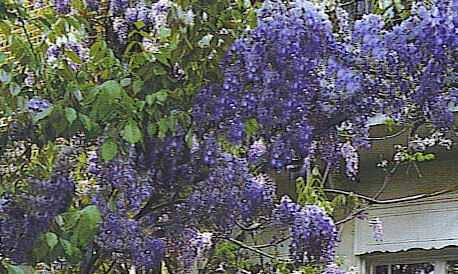 The ones that I would recommend for this purpose are the many varieties of rambler rose, some of the taller climbing roses, grape vines (for very sheltered and warm areas), honeysuckle, clematis (these are generally slower growing and will take a little time to cover the top of the rafters) and wisteria. 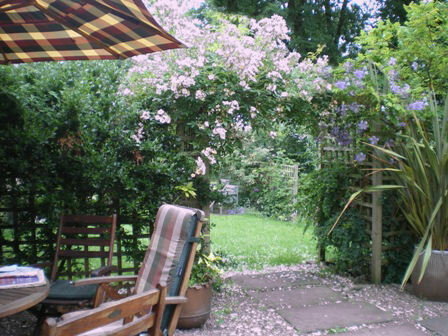 The more vigorous rambler roses and wisteria will need a really sturdy structure to support their weight. Here's a heavenly purple clematis weaving through the rafters. This is the delicately coloured rambler rose Francis E. Lester. The beautiful blue of this wisteria is just stunning. 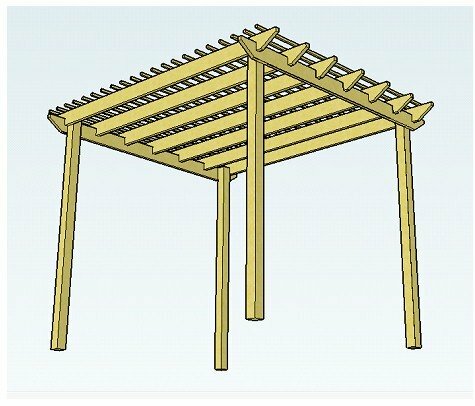 Another way to add extra shade is to use purlins on the top of your pergola. These are placed over and much closer together than the normal rafters. They can be used with climbing plants too, to give even more pergola shade. Alternatively, if you prefer a fabric covered pergola, another option, that has become available in recent years, are the shade sails and fixings, which can be attached to any structure, and come in a variety of colours and sizes to fit most gardens. 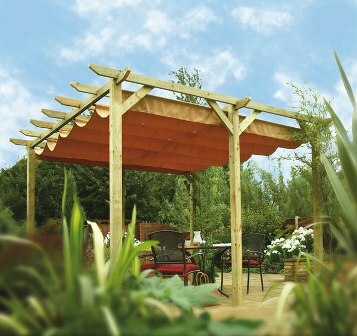 This type of pergola shade is designed to protect the skin from harmful UV rays. The shades also look good, adding style and colour to any seating area. An aluminium pergola and wooden pergola are available in freestanding or attached pergola designs. The attached lean-to designs are ideal as a patio pergola next to the house, where you can relax on your lounger, or spend wonderful evenings with friends. Both designs are an unusual and effective pergola shade. Not only are they great for shielding everyone from the sun, but also for protection in more inclement weather. 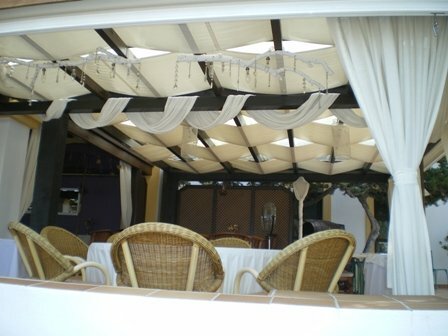 Here are some more of the more modern style fabric covered pergolas and gazebos. Whether you are a keen gardener, who may need a place out of the sun to sit and rest while admiring your hard work, or you prefer to just sit and contemplate the world with a cool drink, a seated arbour or swinging arbour might be just the job. There are plenty to choose from, in all manner of styles, looking good as a focal point and an inviting retreat. If you are a real sun lover, think carefully about where to place your pergola. Notice where the sun falls during the day. 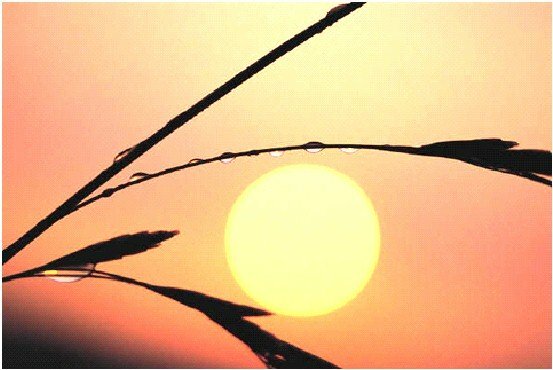 Consider at what time of day you will use the area the most: in the morning, afternoon or evening. If you like to soak up the sun, this will have a bearing on where your pergola needs to be placed. 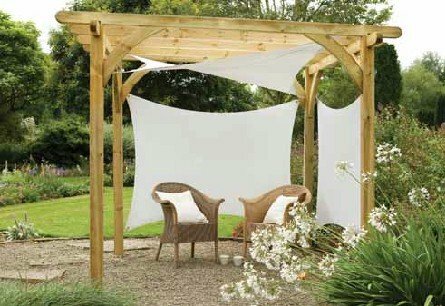 Even though you may mostly prefer to be uncovered, a little pergola shade at the hotest times of day may be a good idea. You may have to position your pergola at the end of the garden if you want it to catch the sun in the evening, just when you are getting home from work and anticipating that well-earned, cool drink, or if you like to do most of your entertaining in the evening. Unfortunately, we can't change the orientation of our gardens. We have to make the best use of the situation. I have an area for eating in the shade, several for relaxing in the sun and another for the evening, as the sun moves from the back garden to the front during the day. It's quite nice to have a choice. Another consideration, especially if you are using your pergola for 'al fresco' dining, is the distance you will need to carry food and crockery from the house. If you intend to use the dining area in the evenings, is it preferable to be sitting in some warmth of the sun, even though the pergola may be further away? 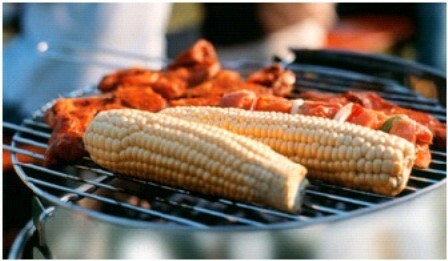 A patio heater, chiminea or fire pit can be an ideal compromise if you decide to have your pergola nearer to the house. Think about when you are most likely to use your pergola and whether you prefer the wonderful sunshine or the cool of the pergola shade. You may like both, for different purposes. Track the sun during the day, noting down these areas. By doing this, you will have a good idea of the most suitable place to position your pergola, enjoying it to its full potential.